PreviousPrevious post:4 dining destinations in Wisconsin worth a road tripNextNext post:CAMBA TRAILS OPENING SPRING 2018! CAMBA TRAILS OPENING SPRING 2018! Start Line Inn & Coach House reservations via Airbnb can only be made 6 months in advance. If you are inquiring about lodging more than 6 months ahead, please contact Start Line Inn directly. We take pride in living in harmony with nature and minimizing our environmental footprint. We encourage our guests to join us in going Green! We offer the only repair shop in Cable. 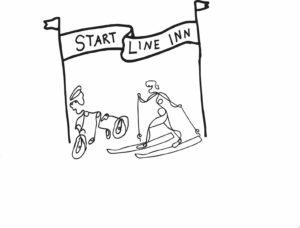 Start Line Inn provides the closest lodging to Birkie ski trail & CAMBA mountain bike trails. 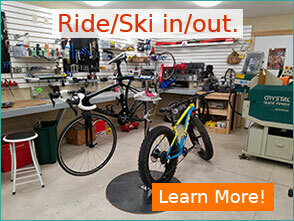 Ride from your front door! Click the flag to get directions. WELCOME TO START LINE INN! Copyright © 2018 Start Line Inn | Web Design by CF Web Services, LLC.